KC is the world’s most trusted off-road lighting company and our products are used to ensure racers can make split second decisions, the military can achieve critical success and the adventurer in all of us can go farther. We have delivered iconic smiley face lights to customers since 1970 with an unwavering commitment to making premium products that are innovative and unique. At every intersection of our products, employees, customers, and industry partners we embrace our legacy and traditions while forging a brighter, better future for generations to come. KC Created the first off-road light in 1970 which quickly became the performance standard for the world’s top endurance racers. We take features developed for racing and design them into products for the consumer off-road market delivering premium lighting products and adventure solutions for anyone that has a passion for taking vehicles on the paths less traveled. Today the iconic KC brand is a symbol of trust, quality and performance. In January of 2017 the original founders joined forces with some new partners that set KC off on a new adventure that is inspired by a rich timeless legacy with goals that have infinite possibilities. Our vision is to create a brighter world, full of adventure through meaningful experiences with each other. Our mission is to design premium unique products that illuminate life’s adventures. 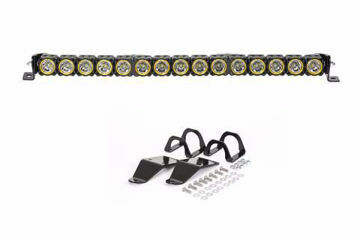 OPTICAL PERFORMANCE AND LED EFFICIENCY Combining KC precision injected reflector optics and efficient LEDs the 30" KC FLEXLED Light Bar delivers 2,700 lx @10m of race performance light output and optical clarity. 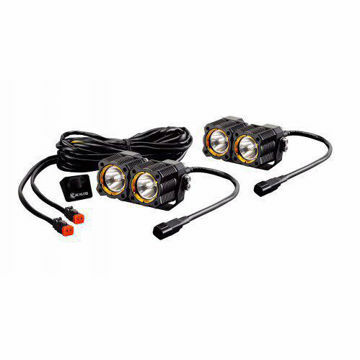 KC FLEX™ Dual LED feature bright CREE LEDs in a spot or spread beam pattern inside a compact, rugged Aluminum housing with precision reflectors. 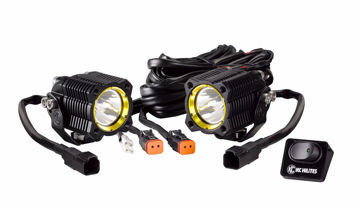 Pair includes (2) 20W FLEX LEDs, complete wiring harness, and U-brackets for easy mounting. KC FLEX™ Single LED feature bright CREE LEDs in a spot or spread beam pattern inside a compact, rugged Aluminum housing with precision reflectors. Pair complete with (2) 10w Flex LEDs, complete wiring harness, and u-brackets for easy mounting. 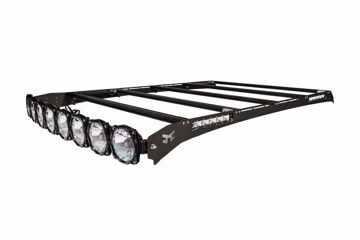 The Gravity LED Pro6 LED light bar is an LED off road lighting system unlike any you've seen before. This Toyota Tacoma kit features patent pending Infinity Ring® system, mounting brackets, hardware and a complete wiring harness. KC M-RACKS roof rack for 07-18 Toyota Tundra Crew Max features a form fitting, low profile design. Using an all aluminum construction with integrated horizontal cross bars, cargo track mounts, and a C-Series Curved LED light bar. 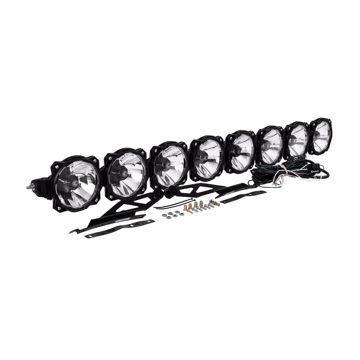 KC M-RACKS performance roof rack for 07-18 Toyota Tundra Crew Max trucks features a low profile, all aluminum design with an integrated 50" Gravity LED 8-light Pro6 light bar, horizontal crossbars, and cargo track mounts.